Barcelona ICD. Banco Sabadell repeats as a premium sponsor in the 5th edition of the Barcelona International Community Day, that also welcomes new sponsors. Part of the success of the Barcelona International Community Day – which will celebrate its 5th edition at the Museu Marítim this Saturday, October 20 – is the renewed confidence of its sponsors and the boost received from the support of new ones providing the visitors with their services and specialized products to facilitate the integration of the international community that lives and works in Barcelona. In this way, the Barcelona ICD 2018 counts again with Banco Sabadell as a Premium sponsor. Apart from making its stand available to visitors in the ​​exhibitors area, this financial institution will also present the capsule ” Starting Out In Barcelona: A Few Financial And Non-Financial Tips” by Mireia Lafoz, director of international clients, who will explain the basic keys that expats must know to start operating financially in Barcelona. La Vanguardia renews its confidence in this year’s edition and repeats as media partner of the Barcelona ICD 2018. Allianz Care, Atipika Properties and the Barcelona International School Association (BISA) are also veteran sponsors who continue to participate in Barcelona ICD by sharing the mission to make the landing of the newcomers to their new city much easier. Allianz Care contributes with its experience as an insurer, both for people with international mobility, and for large corporations anywhere in the world. For its part, Atipika Properties facilitates the management of one of the first needs of the expats upon arrival in Barcelona, ​​which is to find a place to live, and will be in charge of an interesting capsule presented by its manager Renzo Riva – “Living in Barcelona: rent or buy?” – where he will clarify the usual processes in the Catalan real estate market and will give advice to help in finding a new home. Finally, BISA, an association that brings together many of the international schools of Barcelona, ​​also brings all its experience so that newly arrived families can make decisions on the education of their children. Jean-Bastien Urfels, the association’s president and director of the Lycée Français De Gavà Bon Soleil, will give a capsule on the “Education options for international families in Barcelona”. The Barcelona International School Association also sponsors the lively and fun playroom space, where children’s workshops will take place throughout the day. Eres Relocation, Page Personnel and Spaces are the debuting sponsors in this 5th edition. 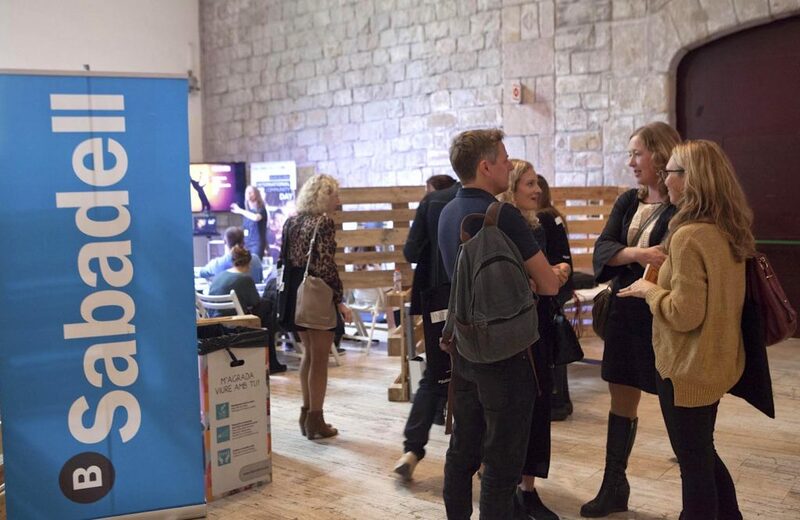 Specialists in management of international mobility of workers, advisors in international professional careers, and suppliers of co-working spaces worldwide, respectively, the incorporation of these new sponsors in Barcelona ICD 2018 confirms the success of this initiative addressed to the international community and promoted by Barcelona City Council. In this 5th edition, they will contribute with their extensive experience and knowledge to offer their relocation services, job search and co-working spaces so that the expats can integrate and make their way professionally in Barcelona. Their sponsorship also materializes in the form of three capsules where visitors can learn the first keys to understanding how Catalan culture works and what are the first steps to take in the way of finding a job. For example: “Crossing cultural barriers: what every expat should know about living in Barcelona”, by Laida Palacio, an intercultural coach from Eres Relocation and “Digital Nomads: co-working spaces and their impact on new ways of working “, by Phillippe Jiménez, Spain’s national director of Spaces. To know and enjoy everything that our sponsors have to offer and the rest of the activities and exhibitors that are waiting for you this Saturday, check the programme of the Barcelona International Community Day 2018. Do not forget that access is free and you can register by filling this form to get your entry. We will be expecting you!